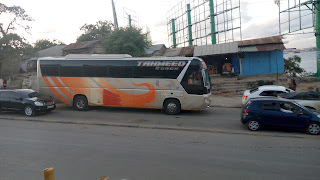 Grab the one time special offer of a travel charge of Ksh.1000 to Nairobi from Tahmeed Coach. Tahmeed Coach is one among the Luxurious Bus Company In Kenya offering buses with comfort, fully furnished seats, air condition and LCD Tv for entertainment. Hurry up and make your bookings now as the offer is limited to the next 14 hours. Bus Kenya, We Will Take You There..